I Love My Heritage Night! Please come on out and enjoy an evening of make-and-take crafts, frybread, and friendship! 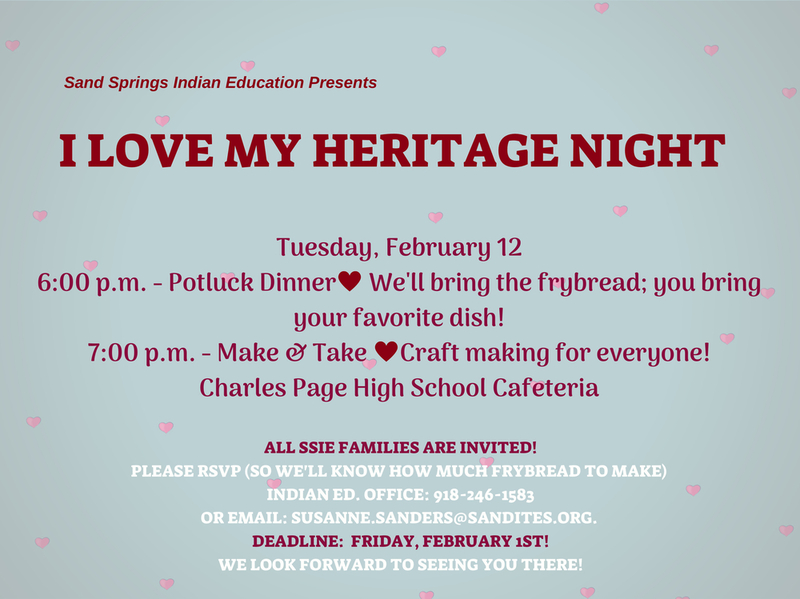 Sand Springs Indian Education is hosting 'I Love My Heritage Night' on Tuesday February 12th. We are asking that SSIE families RSVP for this event by Friday, February 1st. We look forward to seeing you there! !